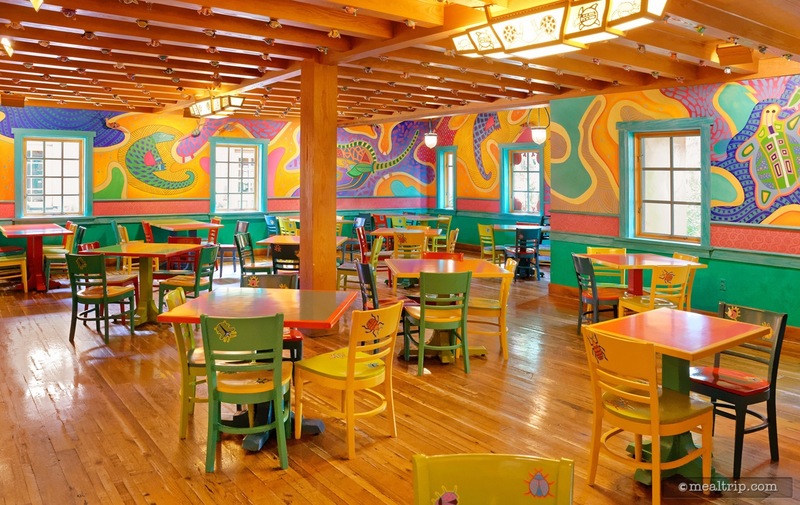 Pizzafari is one of the largest mixed indoor/outdoor (but mostly air conditioned) counter service restaurants in Animal Kingdom. The six themed rooms contain a mix of floor to ceiling colorful wall murals and many smaller detailed carved elements. Talking time to walk around and examine the six different worlds of animals and deciding where to sit, is part of the fun of Pizzafari. Some of the breakfast offerings at Pizzafari are, surprisingly interesting... along with a few more "standard" breakfast items, such as a cheese danish, cinnamon rolls, yogurt and oatmeal. While I do understand the need for a "pizza place" in every theme park, Pizzafari is not on my top 10 list of places to eat lunch at Animal Kingdom. Which is saying a lot, because I don't think there are 10 places to eat lunch at Animal Kingdom. Breakfast at Pizzafari, is a completely different story though. 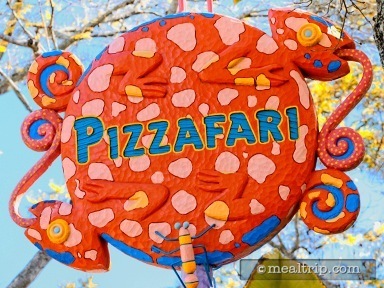 Pizzafari has long tried to keep one or two slightly themed breakfast items on the menu as long as I can remember. It's something I really wish they would do with the lunch and dinner pizzas as well. An African or Indo-Asia inspired pizza couldn't be that hard to come up with, but I digress. I stopped in one morning to try the rather plainly named "Breakfast Croissant", which doesn't really tell you much about how good and flavor-full this little sandwich really is. The "good stuff", is all in the description of the item. While I am still a little suspicious of the perfectly round egg whites, they were delicious and paired well with the mild provolone cheese, loose spinach leaves, and the vegetable chutney. The vegetable chutney adds a lot to the dish and is mostly a mix of mild, multicolor peppers with a few sweet cranberry and golden raisins tossed in, along with a diced onion bit here and there. The multi-grain croissant doesn't overpower everything this time (I've had issue with the seedy multi-grain breads at other locations), but blends nicely with everything else. While you do need a bit of coordination to eat the sandwich (it's a two-hander, as the insides are a little heavy for the fresh croissant), there is a hearty, earthy goodness to the whole mix, that has quickly made this one of my favorite counter service breakfast items at any of the parks. But wait, that's not all. As if the sandwich wasn't enough, there's a great side item that is very nearly as good! Don't dismiss the "Breakfast Potatoes" as being an obligatory side-item. The baked golden-topped pile of potatoes is an au gratin potato type of mix that features (most probably) cheddar and black pepper. The black pepper is not overpowering though, and just lends a sharper edge to the cheese (which might not actually be cheddar, it's really mild, but very tasty). 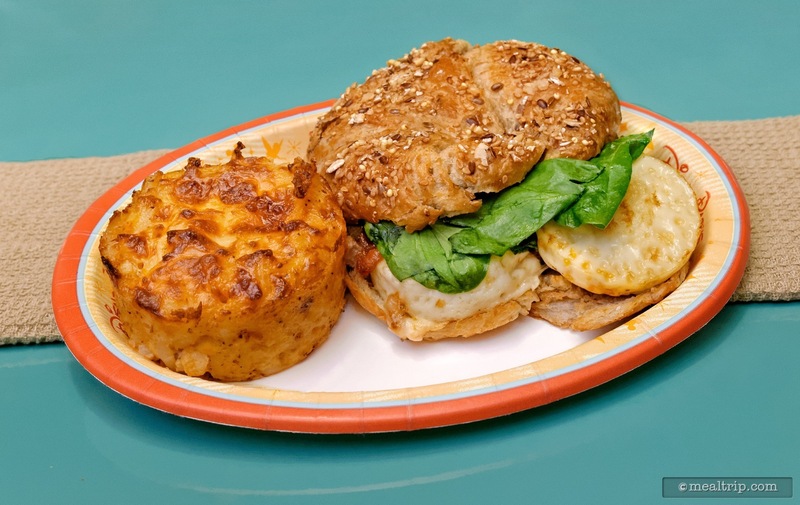 The sandwich is a winner, and if you find yourself in Animal Kingdom around breakfast (or brunch) time, it's definitely worth a try. This may be one of those "get it while you can" items though, as the future of Pizzafari itself a bit uncertain. I have hesitated to comment too much on the dining area, because we have heard that the location is getting ready to change up it's format once again… this time with a bit of construction. Will some parts of Pizzafari stay open during the refurbishment, or will focus (and breakfast duties) shift over to Restaurantosaurus? 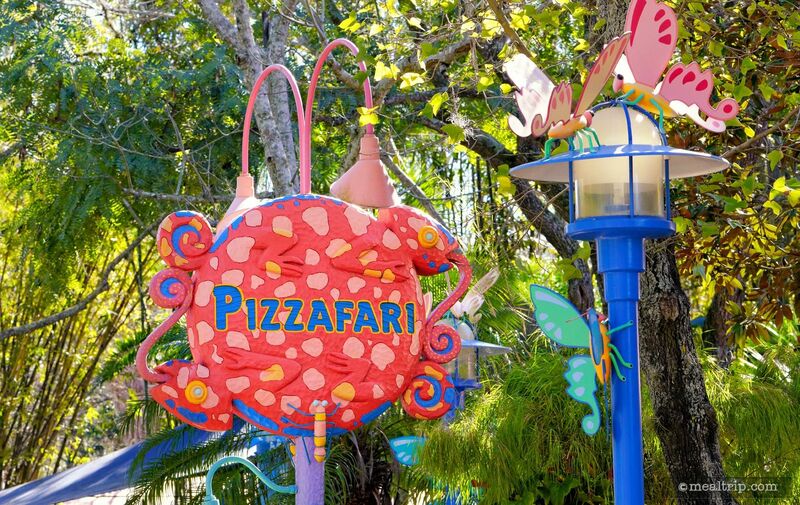 It's hard to say really, but I'm sure at some point, Pizzafari will once again serve breakfast… and I hope the Breakfast Croissant will still be around once the dust settles.